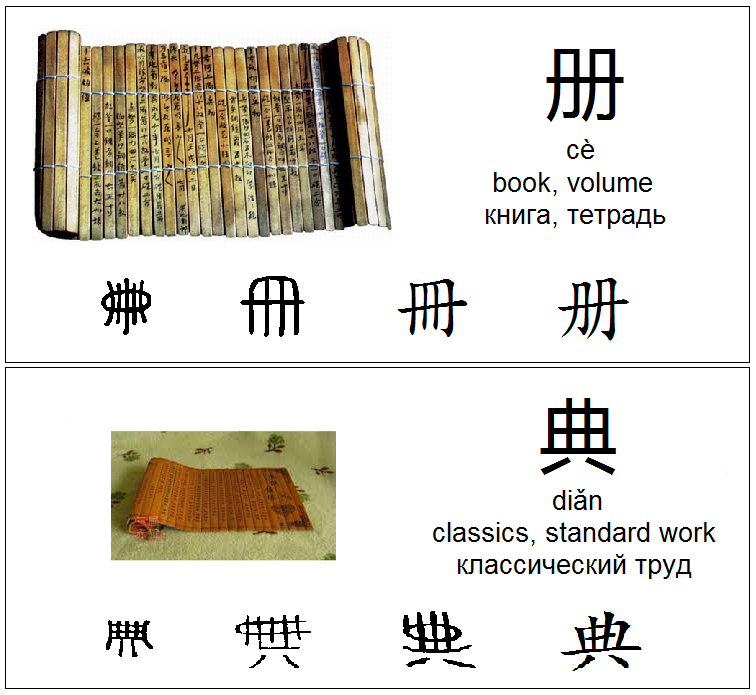 Pictograph 册 looks like ancient Chinese books that were composed of bamboo strips and woven together into a scrole. The ancient written form of 典 is in the shape of a book kept on a table to be read (or, probably, a book held by two hands). Перевести эту страницу на русский?